Can you tell us a little bit about how you got started and what you’re all about? What does your passion come from for what you do? Well, if someone had told me 10 years ago I was destined to become a successful retailer with an online presence, I would have laughed! My background then was medical journalism, but that work wasn’t available after moving to the Blue Mountains from Sydney. 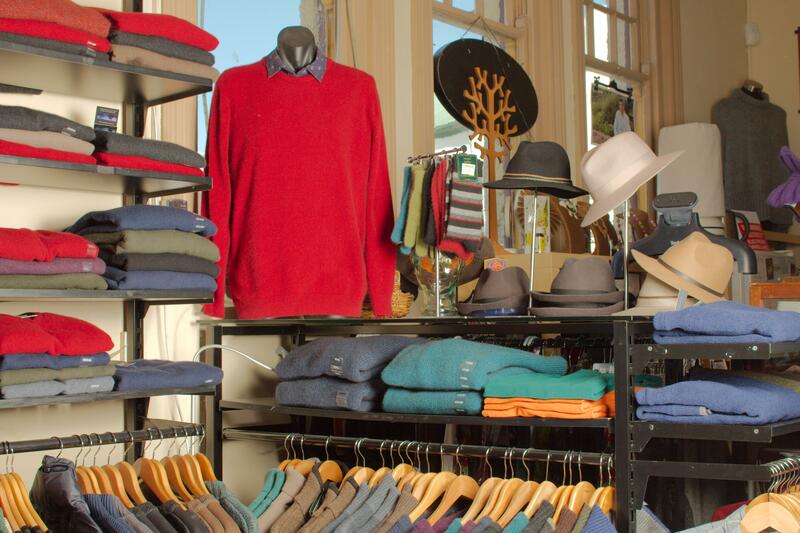 I’ve always loved clothing, which is what drew me to Ravir Boutique in the old Blackheath Post Office building. After haunting the place for weeks I enquired about work and soon began on a part-time basis. The work was so much fun, so when the opportunity came up to buy the business I took it on! 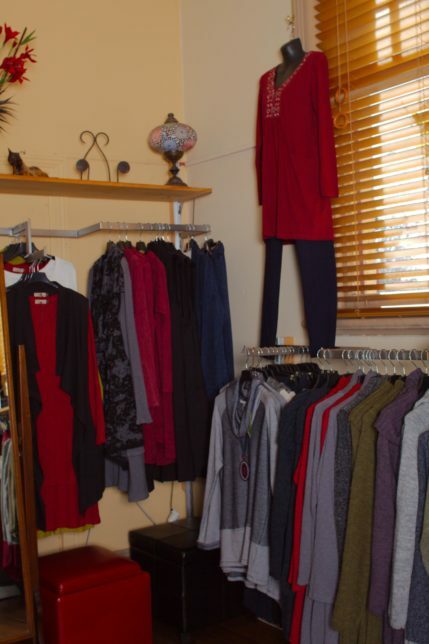 Over the nine years since taking over the business, Ravir Boutique has transformed from a quirky shop selling new and second hand clothes, gifts, and homewares, to a boutique that specializes in clothing made from natural fibres. My passion comes from delighting our customers. They tell us all the time how much they appreciate our quality clothing, especially our knitwear which is highly prized. Blackheath is a small tourist village on the skirts of the beautiful Blue Mountains and a short distance west of Katoomba. Living in a small town, there are days when things are very quiet in-store. On those days it’s the online sales that help keep profits coming in. We want to maintain our primary goal of being a beautiful brick-and-mortar store with an exceptional shopping experience for Blackheath tourists and visitors. So we’ll never go completely online, but having an ecommerce store allows us to reach out to a broader market so we can weather the ups and downs of economic uncertainty. And that way, we can continue to thrive as a business! For the first few years we got by using an old-fashioned till, with no receipts. As time passed, our stock levels began to get out of hand. I had no idea of the value of stock in hand, a critical side of the business, and started researching retail management systems. There wasn’t much to choose from at the time, and prices were prohibitive – around $10k for a software/hardware package. I kept looking online and stumbled across Vend. It was in its early days, but the concept made sense. Instead of a huge upfront cost, I could pay a monthly fee for the software, and use whatever hardware I wanted. It was a no-brainer. A colleague with good computer skills helped me with the initial set-up and taught me the basics. Soon we had most of our stock on the system, and I began to see the benefits of being able to produce reports on what was selling as well as where I was losing money. And we could now issue proper receipts in the form of tax invoices. We also started a VIP customer database, which has grown to a very healthy level. That list is like gold as it contains a pool of Ravir fans who appreciate hearing about our products and promotions. For a while as we were developing Vend, we also had a website with a deliberately small online shop. I had always resisted selling online, preferring to put my energy into our shop which is open seven days. Then along came a customer who understood Vend’s ecommerce capabilities. Phil from Logiskate could see the potential for Ravir to reach a wider audience using Vend ecommerce. Over several months we worked together to shift from a Word Press online store to one that is integrated with Vend. It took a bit of time and effort but once the sales began to roll in, it became clear that I’d been wasting time double-handling the online sales when I could have been selling from the Vend database. No more selling items I don’t have in stock. No more manually entering customer details into Vend. I have to say at this point that I couldn’t have done this on my own. I’m too busy doing what I do best to try and get my head around Vend. But there are people out there who can help with the set-up and continue to offer ongoing support. It’s a great use of skills and time. I’d definitely recommend Vend as a point-of-sale solution. The post Vender of the Week: Ravir Boutique appeared first on Vend Retail Blog.